It seems like Anastasia Island was built around Marsh Creek. There is a shopping center within walking distance. St. Augustine Beach is just a few blocks north. Crescent Beach is a few blocks south. There are several boat ramps and fishing piers near the neighborhood. There are many good restaurants close by and Marsh Creek has its own restaurant. If you don’t play golf there are plenty of other things to do. Marsh Creek has a tennis facility with lighted clay courts. Its got a nice club house, gym, community park and nature preserve. The southern part of the neighborhood was the original Marsh Creek plan. it included Marsh Point Circle, Kalli Creek and Turnberry Lane. The lot sizes are a little bigger and its closer to the main entrance. Fiddlers point and Heron’s Nest lane are in the newer section at northern part of the neighborhood located near the back entrance. There is a lot of homes to choose from at Marsh Creek. There always seem to plenty of homes for sale at Marsh Creek. 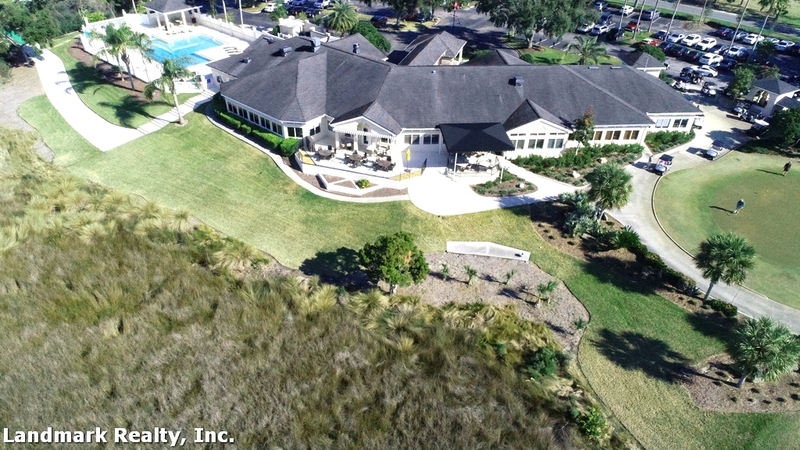 It’s the only golf community at Saint Augustine Beach with its own restaurant, gym, tennis facility, clubhouse and 18 hole golf course. Many of the folks we have work with have said the 24 hour manned security was an important feature of this neighborhood. The prices of the homes for sale at Marsh Creek can be very affordable. There are smaller houses not right on the golf course that are much less than the huge homes that have Intracoastal views. There is land for sale where you can build your own custom home. We have helped many people find a home at Marsh Creek and would appreciate the opportunity to work with you. Marsh Creek is a great family neighborhood. R.B. Hunt Elementary, Sebastian Middle and Saint Augustine High are the public schools available for this community. There are a lot of good private schools in the St. Augustine area. When you are ready to take a look give us a call. We know the area and can get you a good buy. Our office, Landmark Realty, Inc., is located just down the street. Stop by or give us a call. Since 1989 we have been helping families find just the right home at St. Augustine Beach. Our broker, Rick Ginn has lived in the St. Augustine area all his life. One of the first oceanfront beach homes at Crescent Beach was built by Rick’s grandfather in 1918. We know the real estate market at St. Augustine Beach and will find you the best buy. Our business philosophy is to provide the best possible service by subscribing to the old-fashioned ideas of honesty and hard work. We would appreciate the opportunity to work for you.